In this article, Hartland Park Animal Hospital—conveniently located in Lexington, Kentucky (KY)—are here to provide you with some expert insight into how you can best treat and handle your pet’s allergies. We proudly provide a variety of veterinary services to pet owners across Lexington and the surrounding area. When spring and summer make an appearance, many people worry about their own seasonal allergies flaring up again. Unfortunately, if you are a pet owner you also need to worry about your pet’s allergies doing the same. Many pets suffer from allergies and these allergies can lead to your pets being miserable with symptoms, or developing into something that is harder to treat. To keep your pets safe and healthy, let the professionals at Hartland Park Animal Hospital show you what you can do about your pet’s allergies. If you are unsure if your pet has allergies, there are some easy ways to identify a problem. Because dogs typically go outside more than cats, they will likely show a wider range of symptoms. Itchy skin, chewing on paws, constantly shaking their head, weepy, itchy eyes, and itchy ears are all common signs of allergies is animals. Some animals may even present vomiting, diarrhea, snoring, and swollen paws if the allergy is severe enough. Because the signs of allergies lead to itching and chewing of the skin, pets can also develop secondary infections from breaking the skin or irritating their eyes and ears. Pets can be allergic to almost everything a human can be allergic to. Grasses, weeds, pollens, mold, dust, dander, foods, cleaning products, and more are all items that can cause your furry friends to have painful allergy issues. In the summer and spring these allergy issues are made worse, just like human allergies, so you may notice an increase in itching and chewing or other signs during this time. Taking your dog to the vet to determine that allergies are the actual cause of your pet’s discomfort is the first step you should take. While allergies are very common, other problems can show the same symptoms and you want to make sure you catch all health issues early to avoid a problem that is much harder to treat. After it is determined that your dog or cat is suffering from allergies, you may be offered animal allergy medication. These typically work great for treating issues with weepy eyes and ears, and will help decrease scratching, but because outdoor pets will always be exposed to certain allergens, other measures may be necessary. Weekly bathing will help remove the allergens from your pet’s coat, helping to reduce the itching and possibility for irritation. Protecting your pet’s paws from irritation with a pet balm can also be beneficial if they are chewing their paws a lot. To help with itchy ears; request ear cleaning solution from your vet to keep their ears clean and irritant free. Allergy shots are also beneficial for animals who have severe itching problems from their allergies. In addition, many supplements, like fatty acid supplements, can help moisturize skin and relieve itch. If you suspect that your furry friend has an allergy issue, talk to your veterinarian about the right treatment route. While many of the above treatments are helpful, some allergies may need to be treated differently or require different medications. Medication made for humans should never be given to animals unless advised by a professional veterinarian, so the answer to allergies is not OTC allergy meds. Make a quick trip to the vet to avoid any issue with self-treatment and get your pet on the road an allergy-free life. At Hartland Park Animal Hospital, we provide a wide range of veterinary services to Lexington, Kentucky and all the surrounding areas. 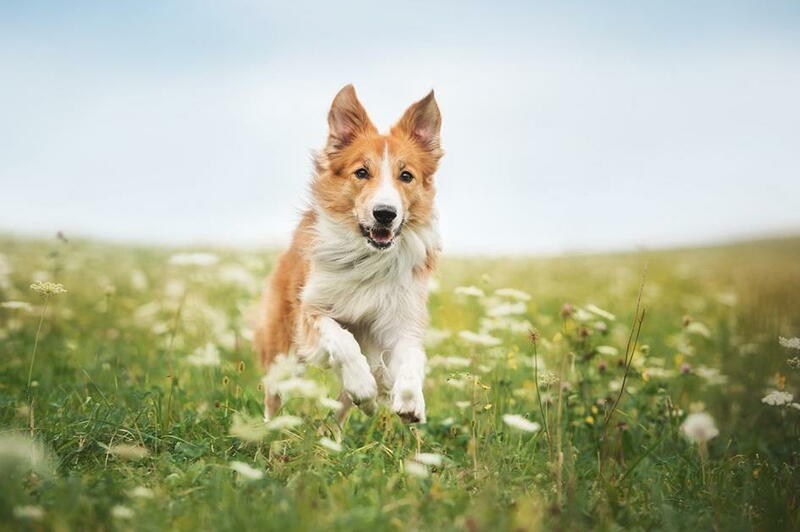 Contact us today to set up an appointment and let our team of experienced veterinarians get your pets back to their normal, allergy-free selves.